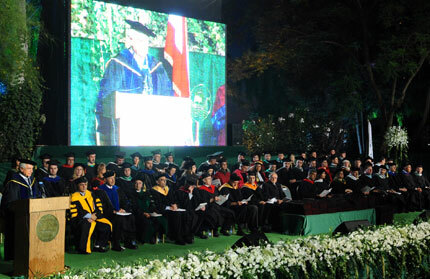 In pictures — Three commencement ceremonies were held and four honorary doctorate degrees were granted in Byblos and Beirut. 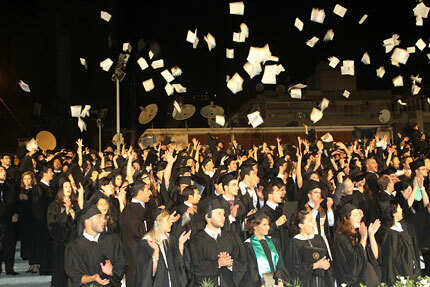 A total of 1,563 LAU students received their diplomas during the commencement ceremonies on July 1 in Byblos, and July 3 and 4 in Beirut. 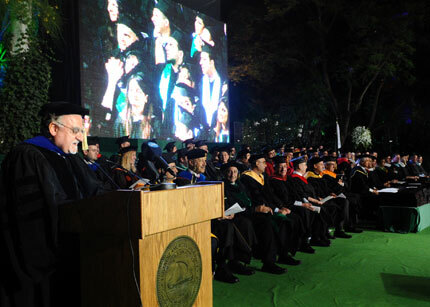 During the ceremonies, speeches were delivered by LAU President Dr. Joseph Jabbra, student valedictorians, and four honorary doctorate recipients. 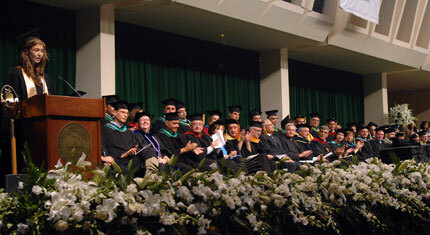 Byblos graduated 423 students, at both the undergraduate and graduate levels. 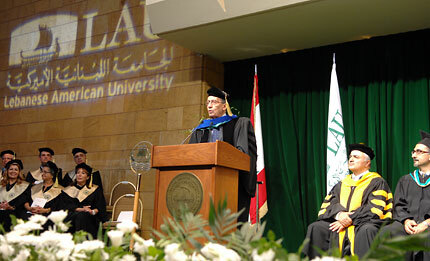 During both ceremonies, Jabbra (here in Byblos) talked about some of LAU’s recent accomplishments, including the earning of full accreditation by NEASC recently, the opening of the new School of Medicine, upgrades to the University Medical Center - Rizk Hospital, and the successful completion of LAU’s five-year strategic plan. “No matter where you are, no matter where you go, no matter what you do, never, ever forget LAU,” Jabbra told the graduating class. Civil engineering student and valedictorian in Byblos, Alain Elie Dib, recounts his experiences at LAU leading up to the graduation. 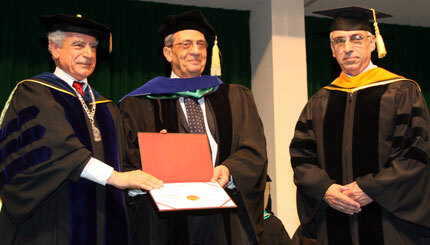 LAU bestowed an Honorary Doctorate in Humane Letters upon Lebanese-American physician Dr. Philip Salem. Salem, who is the director of Cancer Research at the Cancer Center of St. Luke’s Episcopal Hospital in Texas, USA, has been a leading figure in cancer research for decades. 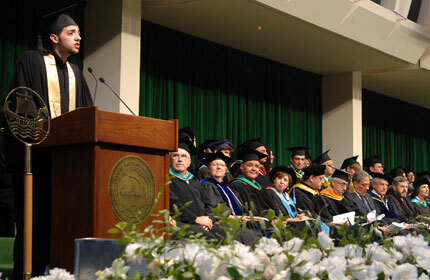 In his speech, Salem said his main mission in life is to defend humanity, Lebanon and his family. “Remember that modesty is the highest peak you can reach in your inner selves,” he added. After the speeches, graduating students took to the stage one by one to receive their diplomas, before a fireworks display marked the end of the ceremony. 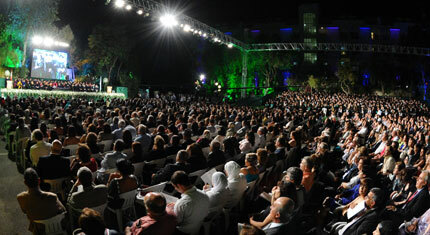 Two separate ceremonies were held for the 1,140 graduating students in Beirut, because of their sheer number. Graduate students from all schools, and undergraduates from all schools excluding the School of Business, attended the first ceremony on July 3. Undergraduate business students attended the second ceremony on July 4. 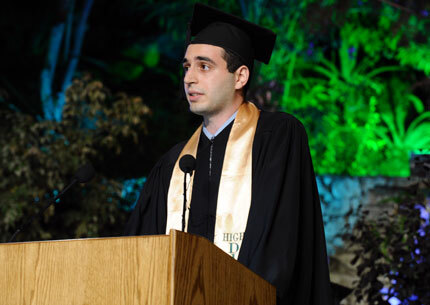 The valedictorian in the first Beirut-campus ceremony, Omar Bou Hamdan, a biology student, is expected back at LAU next fall where he will be enrolling in the Medical School. LAU presents H.E. 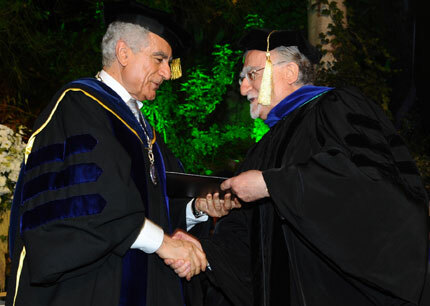 Amr Moussa, secretary-general of the League of Arab States, with an Honorary Doctorate in Humane Letters during the first Beirut ceremony. 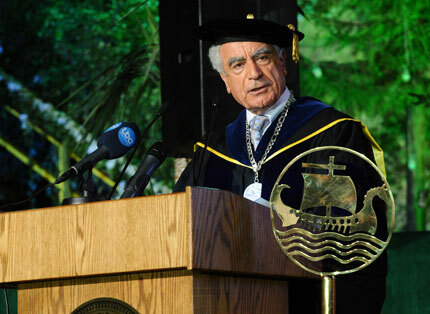 Moussa gave a speech addressing what he described as an “education crisis” in the Arab world. The valedictorian of business students, Ghida Fawzi Matar, addresses the crowd during the second Beirut ceremony. 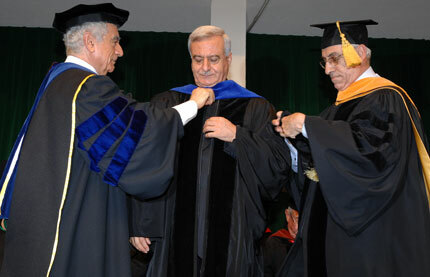 Two Honorary Doctorates in Humane Letters were granted during the second Beirut ceremony to the Rev. Dr. Riad Jarjour, general secretary of the Arab Group for Muslim-Christian Dialogue (pictured above), and Dr. Mohammad Sammak, secretary-general of the Christian-Muslim Committee for Dialogue. Jarjour spoke positively about Christian-Muslim relations in the region, and mentioned his efforts following 9/11, when he visited the United States to clarify the image of Islam. “There is something great in what we are doing as a community which is talking in an honest manner about the other, and resisting attempts that try to deteriorate the image of the other,” he said. Sammak described ethnic and lingual diversity as a “gift from God,” which should be respected. 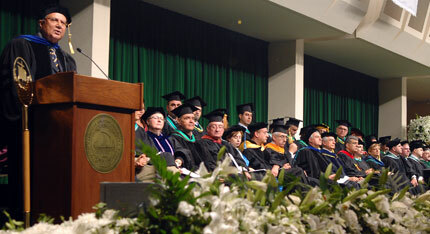 The Beirut commencement was the 85th of its kind since LAU’s establishment.